Idlers x2 are new, plus the tensioner pulley, actuator assembly, and belt. 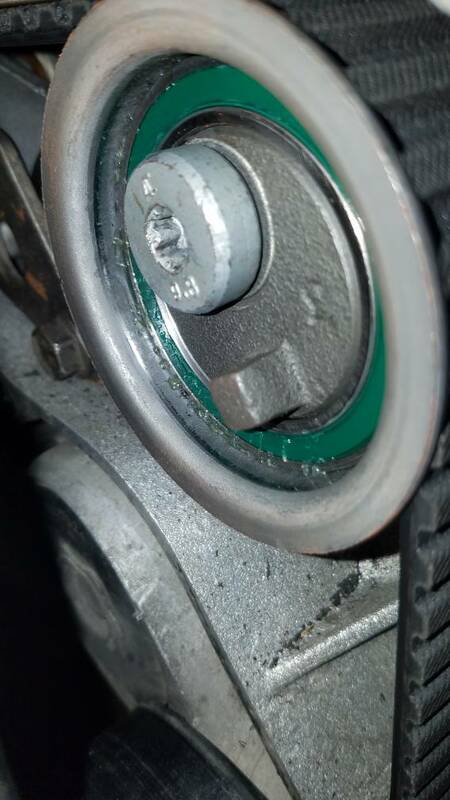 (I used Dayco brand) Now the belt was tight to put on even with the slack on the tensioner side. But yes I made sure to set the ball end of the actuator into the pulley, and I did use a wrench to slightly tighten the belt before pulling the pin. First photo is the ball, second is before actuator is engaged, third is engaged after pulling pin and rotating engine. 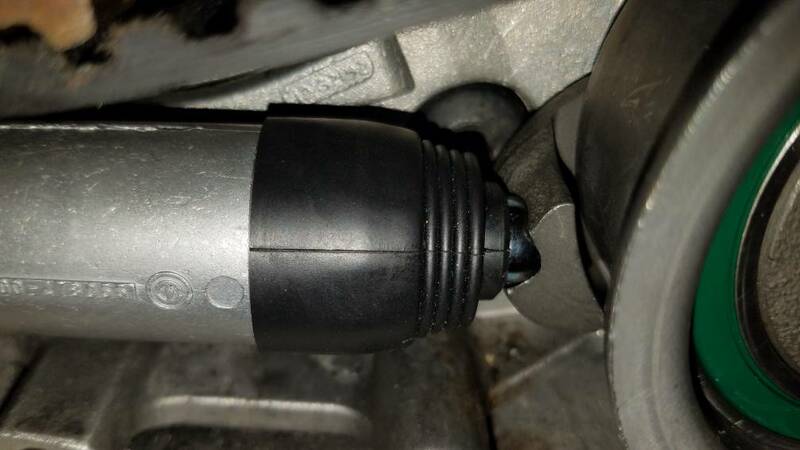 I am also getting code P0341 according to my Actron Scantool, says it's a cam sensor fault. It's plugged in its causing it to not run right over half throttle while driving it I assume. Cleared it and it was instantly back. 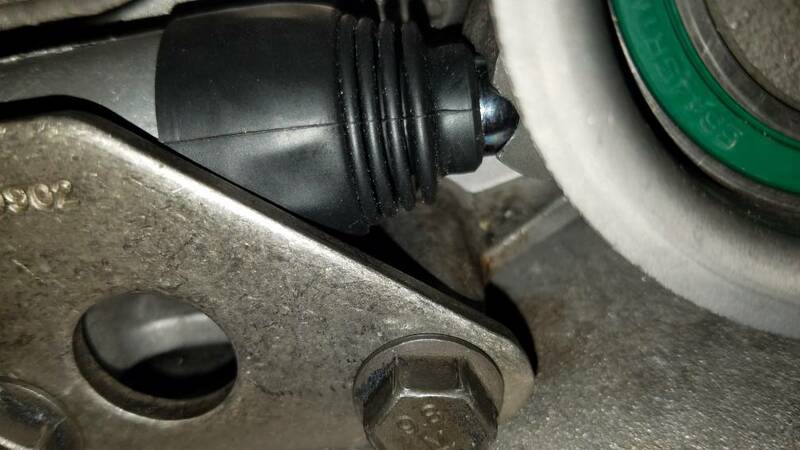 I discovered once when I had a faulty crankshaft position sensor, the ECM incorrectly reported it as a cam sensor fault...I'd check wiring down there first, but a bad CPS is actually a possibility. You might want to pull the cam sensor, though, and make sure there's not metal shavings stuck to the sensor. 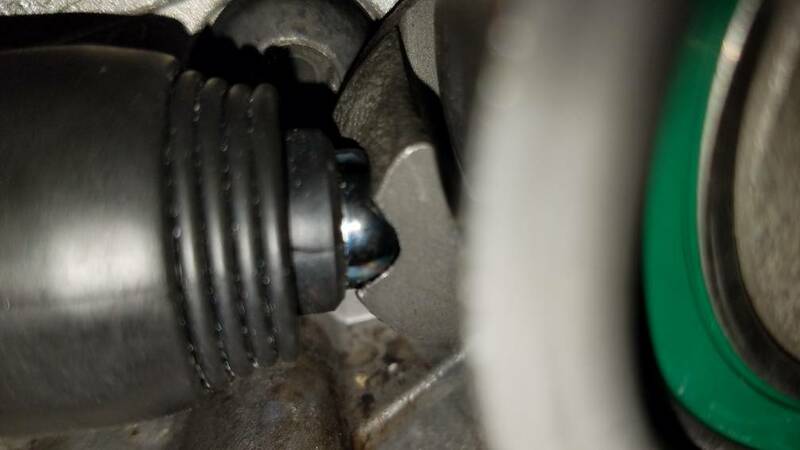 Found my postings from here chronicling my first LQ1 timing belt replacement. It wasn't a good time. May have found the culprit? The wires are all chafed and exposed on the harness. I moved them around and the SES light went away. Nope. I didnt fix and the SES is back on, same code... ordered a new cam position sensor. Hope the new sensor fixes it. Maybe it's time to revisit the timing. Could be off by 1 tooth. That's what I was thinking. Not looking forward to that! 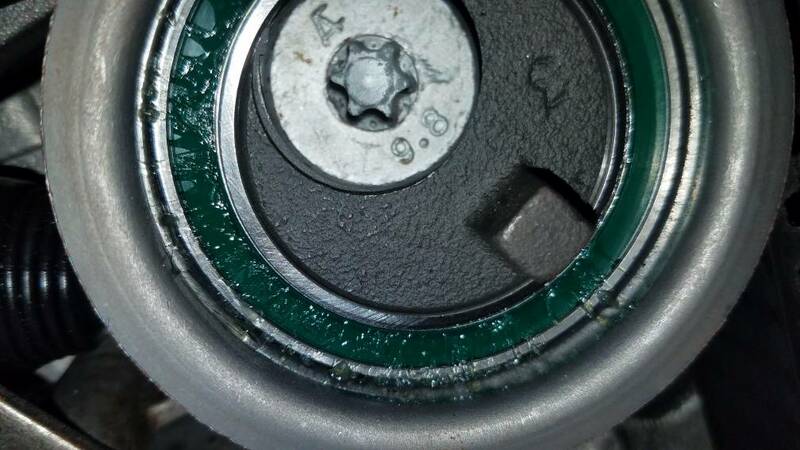 Idk if this is normal but the tensioner pulley is leaking it's oil from the bearing. Re-timed the cams twice and made sure everything was correct. Still having the issue where it seems to be hitting the redline when getting on the throttle at about 4k rpm... 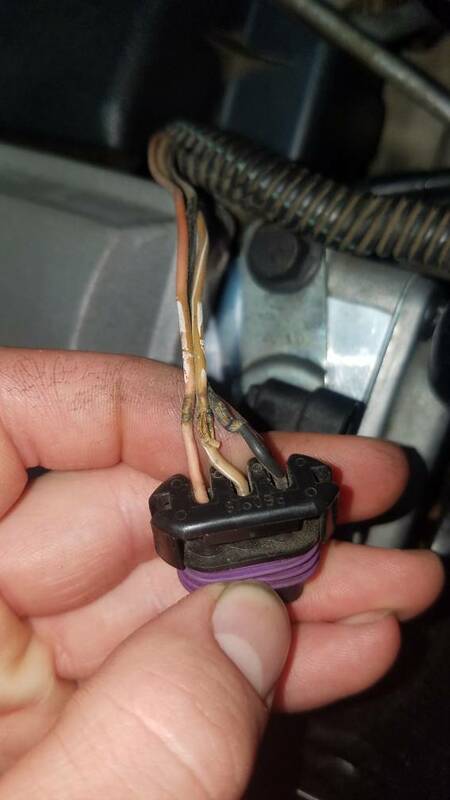 There are 2 codes present, P0341 (cam position sensor) and P1350 which is ignition bypass circuit. I'm leaning towards the Ignition side of things now because the ICM, coil packs, plugs and wires were all changed. I had an new never used ICM that I put on from my last Cutlass from ~5 years ago. The redline limit, and error codes may be separate problems. I'll have to hook the scan tool up to it when I get home in the morning and see if it's reading the neutral safety switch right. Swapped the old Ignition Control Module back on and that fixed the issues. Faulty "new" part caused the issues. Now there is no check engine light, and it pulls to redline! Yaaaay! Glad it's all sorted out. That's precisely why I don't throw away parts, especially electronic parts, even if I suspect they're broken. Got it running correctly, it's a progress thread so I'll update it as things get accomplished! Yeah you can only special order buy them now at AutoZone. I`d like to get one eventually myself so if you bought one to use then wanted to sell it we might could work something out. I just ordered one of Amazon. It's an OTC brand, so hopefully it works good. I always reached through the spring with a pipe wrench.